Family run, gourmet catering company operating from our custom food van. Our professionalism, dedication and flexibility ensures your 100% satisfaction. We love tailoring menus and packages to ensure 100% satisfaction. Our team covers every aspect of your catering needs, including qualified gourmet chefs, highly trained wait staff and even RSA qualified bar staff. Everything is hand crafted and we can even help you with your event hire needs with our contacts within the industry. In addition, we come to you on your schedule. 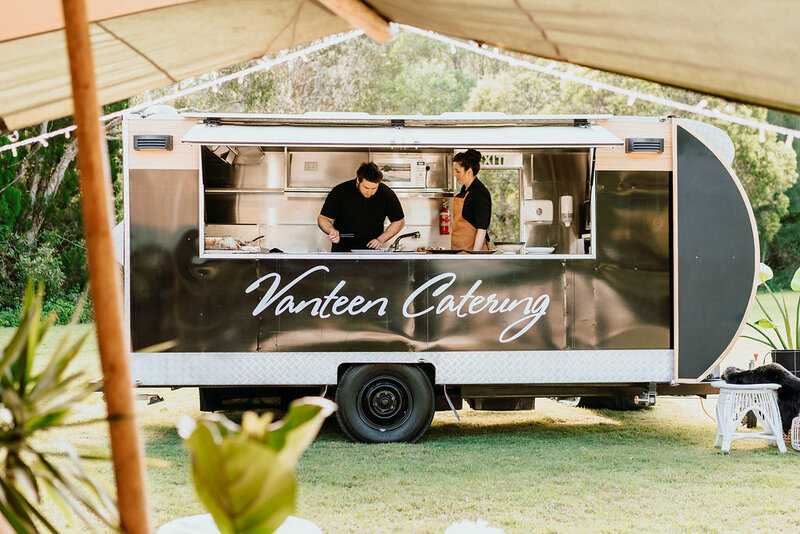 We are the most flexible catering company you will find on the Sunshine Coast, plus, we use the best locally sourced produce and only the freshest of ingredients. If you imagine it, we cater it. Our menus and packages are designed to be your guide on what we can offer you, but the possibilities are endless. Let our family values and personalised experience benefit you. Our lovingly reclaimed Bondwood caravan has been converted into our amazing vintage travelling bar. With a nod to both a wine cellar and whisky lounge we present - The Cellar Van. With packages to suit any requirement let us cater your drinks service with sophisticated style be it from The Cellar Van or our pop up bars. Contact us today to experience the Vanteen difference! Come on over to our Facebook page or Instagram profile to see what we've been up to and what our happy clients are saying.